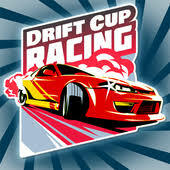 Drift Cup Racing is a fast paced drifting game in which you must compete in a series of different races and vie for first place against AI controlled drivers. Each race features a beautiful and challenging track with many hairpin turns, sweeping bends and long straights. The controls are simple and you only have to control your steering – the car accelerates automatically.